The both of the above pictures are of Eyak lake, the top most picture was when the lake was frozen and covered in snow in March-Early April. Today, the lake is full of life (the picture below it). I commonly see buffleheads, bald eagles, and barrow’s goldeneyes out on the lake. During an owl survey along this lake we also heard a Wilson’s snipe! Last week and this week have been very busy here in Cordova, AK. 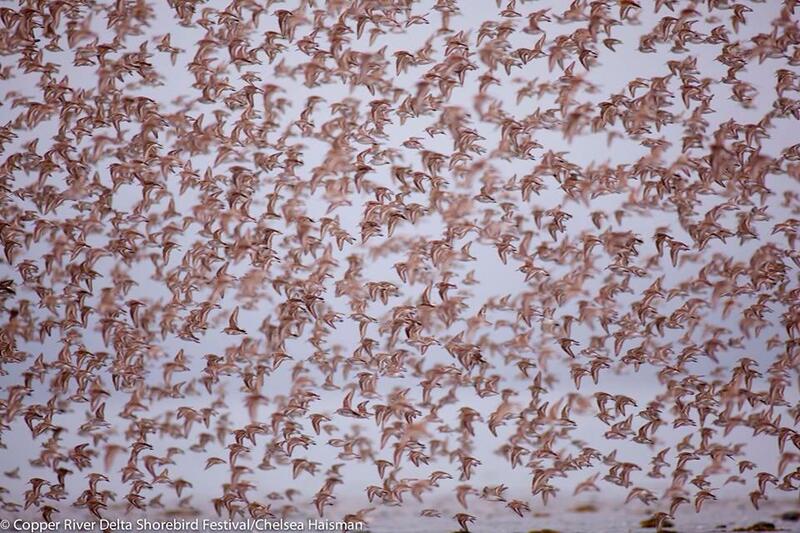 Preparing for the shorebird festival and my shorebird surveys have got me running all over the office and in town! I finally was able to start driving the federal vehicle and visited my study sites during the last week of April before starting my surveys. These are two of my study sites. On the top is 3 Mile Bay and below is Hartney Bay. I visited my sites to get familiar with the area and the tidal changes before I started my surveys. 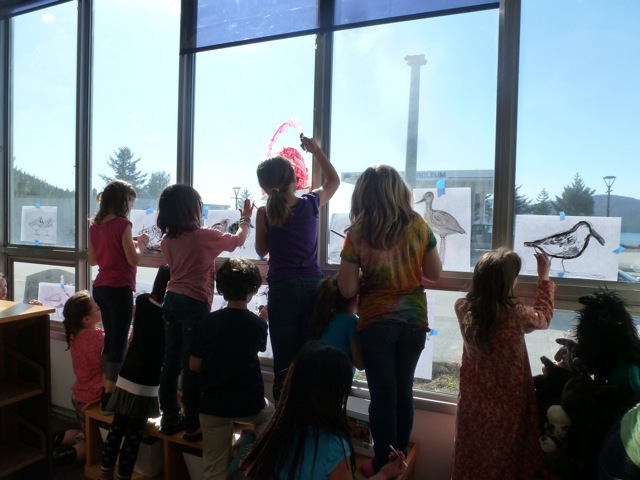 When I was not in the field I was in the office planning and prepping for the shorebird window murals I was helping the Girl Scouts paint in the library. 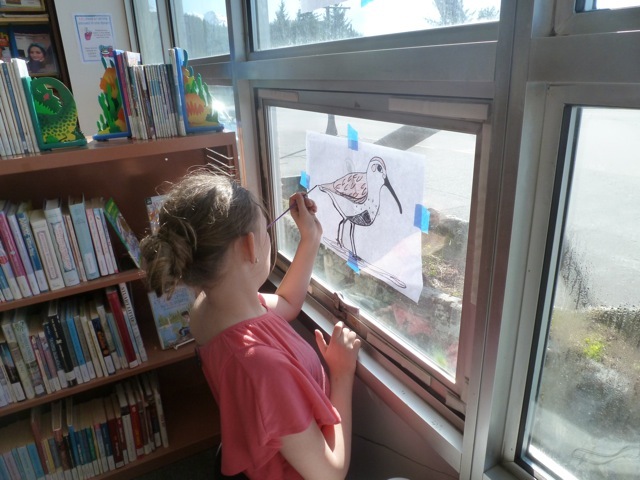 Here are some pictures of the shorebirds we painted to Welcome incoming flocks as we prepare for the Copper River Delta Shorebird Festival. 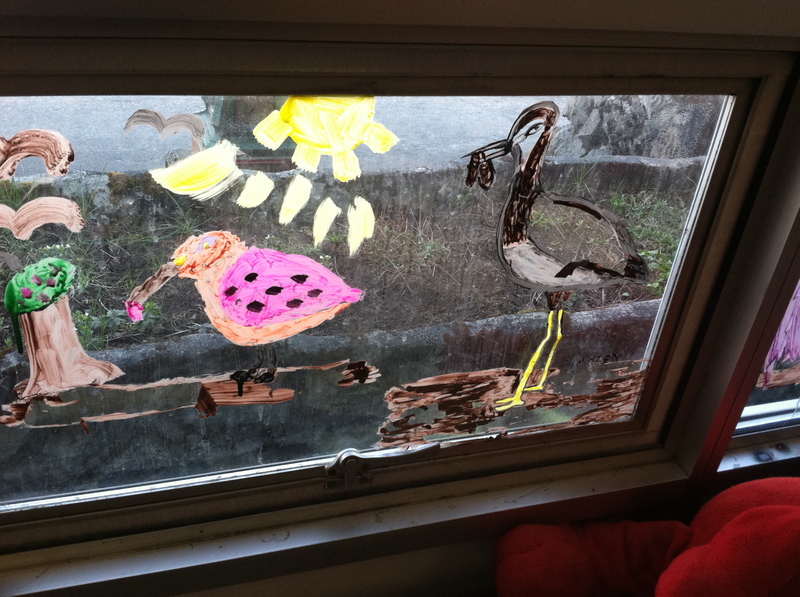 The girls got very creative and requested pink and purple to express their love for shorebirds! 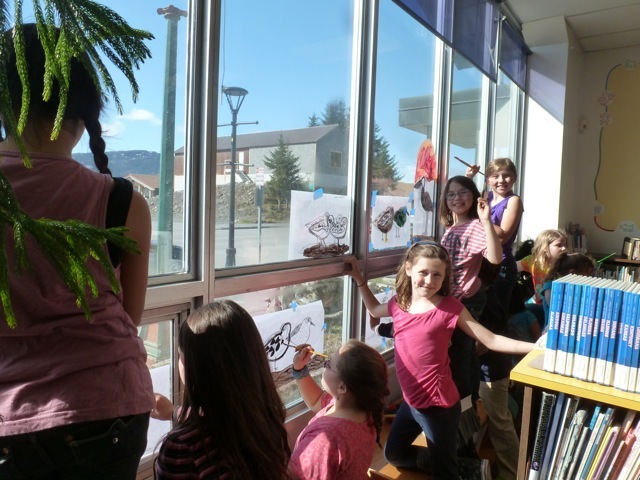 There were 11 Girl Scouts, and since it was after school a few girls that were in the library at the time joined us too! We had lots of fun. It is hard for me to believe that a month has already passed by since my initial arrival to Alaska! Time is flying by fast! Our shorebird Festival here in Cordova is less than a month away (May 8-11th), which means finalizing program descriptions, networking with people and organizations, and recruiting volunteers! 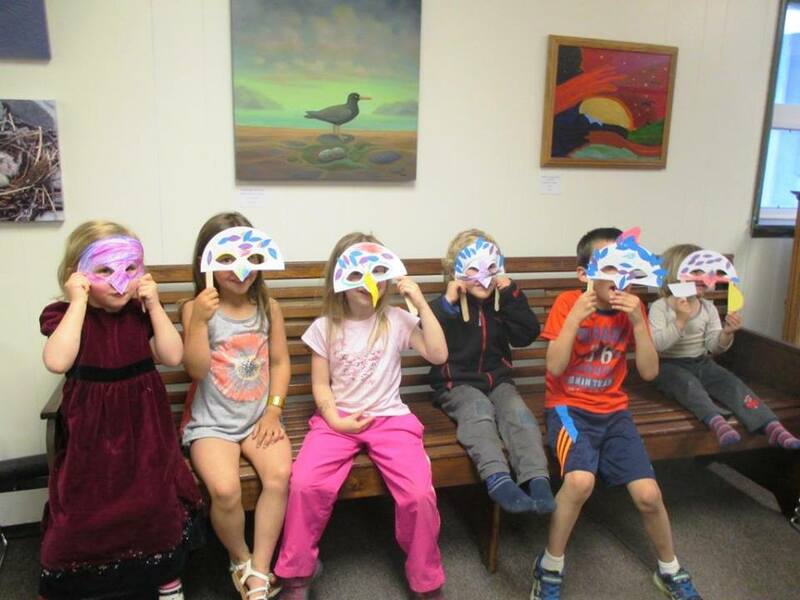 I am also busy planning a Friday night children’s activity that will take place during the Festival. I’m anticipating a range of ages groups within the kids participating, so I have to be creative and ready for the unexpected to engage with my young audience! Jillian, an AmeriCorps representative also working with the Forest Service, will be helping me during the event. 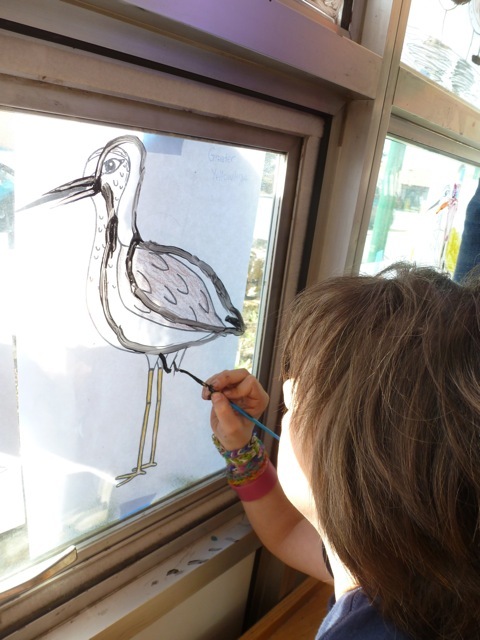 We are planning arts & crafts activities along with games to teach kids all about shorebirds! As you can imagine, I have a lot on my plate. Not only am I helping organize the Festival, but I am also preparing for my shorebird surveys that will also occur before and during the festival! 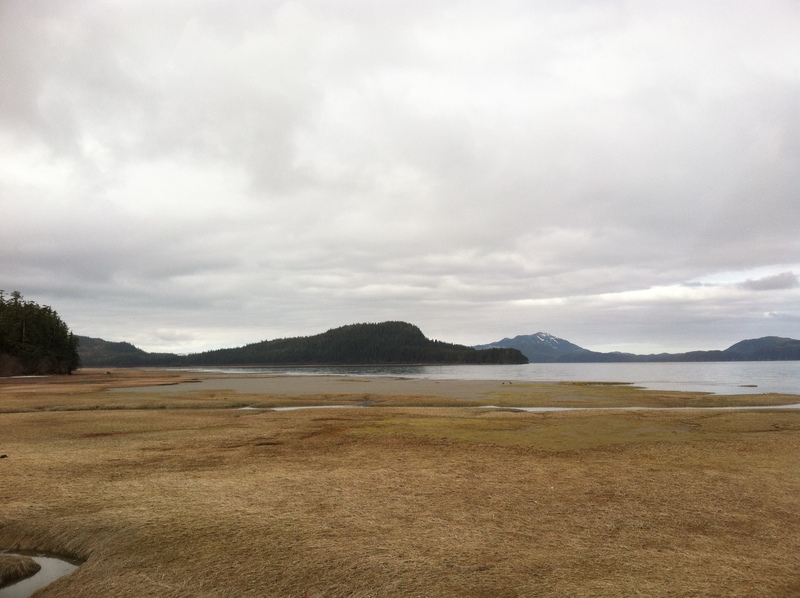 This week I was working on writing up a protocol for my survey sites in Hartney Bay, Odiak slough, and 3 mile. It’s normal to get a little overwhelmed, right? 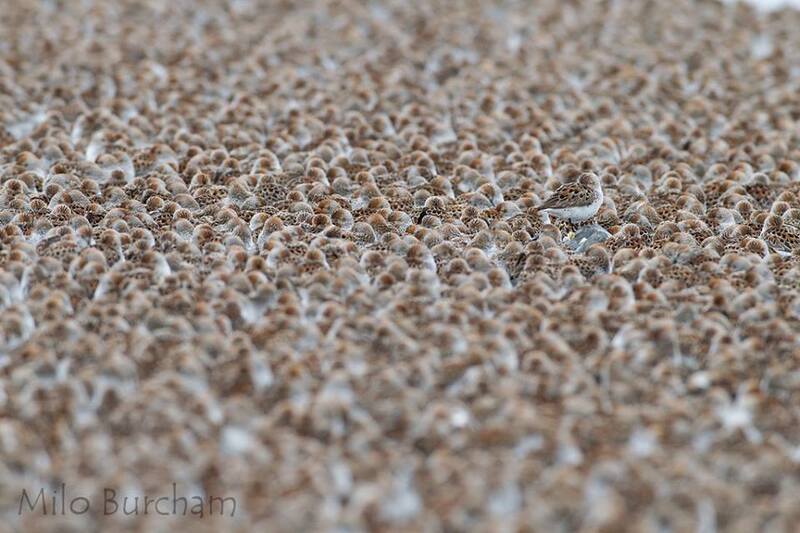 In the next few weeks I’ll begin visiting my study sites daily, monitoring for shorebirds to optimize my surveying technique before I initiate my surveys in May. 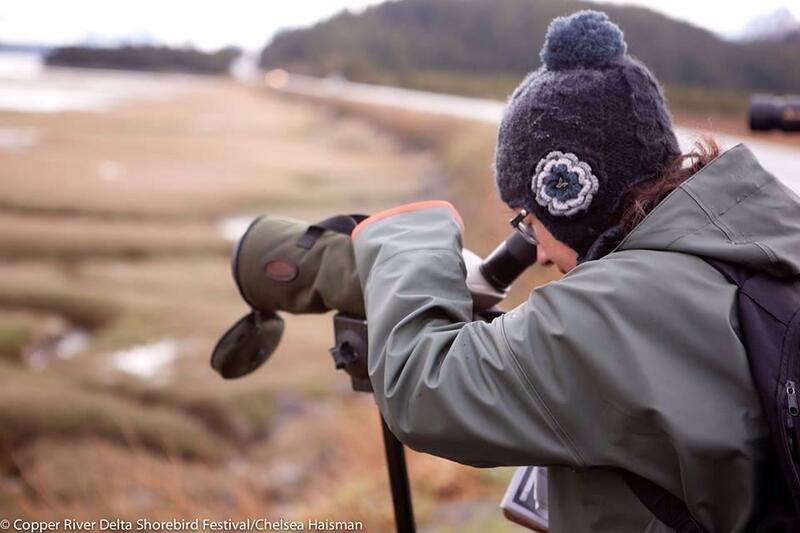 I’m BEYOND excited to start surveying, as well as participating in the Copper River Delta Shorebird Festival! I have a lot of work to do, but I am happy to be able to gain this valuable experience.